A new study has found that bear-viewing ecotourism in British Columbia’s Great Bear Rainforest “generates far more value to the economy” in terms of revenue, taxes, and jobs than the older and more well-established trophy hunting of grizzly and black bears. The study by the Center for Responsible Travel (CREST), Economic Impact of Bear Viewing and Bear Hunting in the Great Bear Rainforest of British Columbia, determined that in 2012, bear viewing in the Great Bear Rainforest, which has been growing rapidly over the last decade, generated 12 times more in visitor spending than bear hunting and over 11 times in direct revenue for BC’s provincial government. The study further found that bear-viewing companies directly employed an estimated 510 persons in 2012, while guide hunting outfitters generated only 11 jobs that same year. The CREST study – the first to compare the economic value of these two sectors of wildlife recreation in the Great Bear Rainforest (GBR) – comes in the midst of public controversy over trophy bear hunting. In 2012, the Coastal First Nations, representing some 20,000 First Nations people who are seeking greater control over the GBR, announced a ban on the trophy hunting of bears throughout the region. They argued that, among other reasons, trophy hunting is threatening the growing ecotourism industry centered on bear-viewing. The BC government, contending that the province has the sole authority to regulate hunting, has continued to authorize the hunting of black and grizzly bears in the GBR. “Given the sensitivity of the debate and the range of statistics being cited for the value of hunting and viewing, CREST decided to undertake an impartial, academically rigorous analysis to try to nail down the numbers,” said CREST co-director, Dr Martha Honey, who led the project. The study was conducted by CREST researchers at Stanford University and in Washington, DC, together with two BC-based experts. 1. The study identified 53 bear-viewing companies and only four guide outfitter hunting companies operating in the Great Bear Rainforest study area in 2012. The companies involved in bear-viewing said they expect their businesses to grow over the next decade, while most of the hunting outfitters have experienced a decline in business and several are seeking to sell their businesses. 2. Bear-viewing is a key factor bringing international tourists to the GBR from Europe, Asia, and the United States. While the total number of tourists coming to the GBR for bear-viewing could not be fully determined, 25 of the 53 companies surveyed reported hosting 11,369 visitors in 2012. That same year, there were 74 hunters from outside BC, 80 per cent of whom were from the United States. 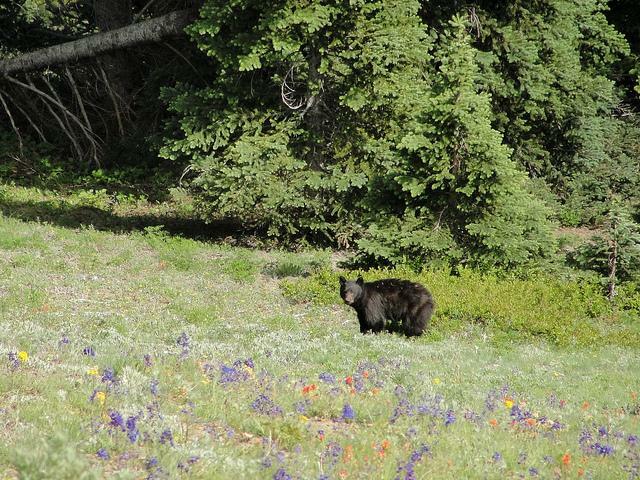 Therefore non-resident bear hunting is more dependent on a single market – the U.S. – than bear-viewing, and the number of U.S. hunters coming to BC dropped 20 per cent during the recent economic crisis. 3. Resident hunting in BC and the GBR “represents a circulation of already existing money rather than new money entering the province.” According to statistician Jim Johnson of Pacific Analytics, who is a lead author of the CREST study, “resident hunting therefore should not be viewed as providing any substantive net economic benefit to the BC economy.” In contrast, non-resident hunting does bring new revenue into the province. The CREST study was carried out according to Stanford University’s research protocols and used the same National Accounting criteria that Statistics Canada uses to determine the economic importance of all industry sectors.